It has taken me a while, but I’ve learned something about myself. When I look at life as merely a lot of tasks and goals to accomplish, something deep inside of me starts to shrivel up. Focusing on just the work—even good work—causes my soul to feel dry and empty. 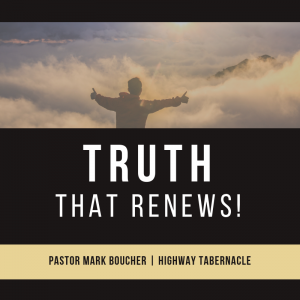 Then, as I go to prayer and consider the Word of God, the Lord reminds me again about what is most important—truth that renews and rejuvenates my spiritual health. I was reading one such reminder yesterday from Ephesians 5:1-2: “Be imitators of God, therefore, as dearly loved children and live a life of love, just as Christ loved us and gave himself up for us as a fragrant offering and sacrifice to God.” So, we are called to be “imitators” of God! The Greek word for imitate is where we get “mimic” from. As God is and does, so we are to follow His example. Of course, there is much about God that only He can do. I can’t know everything or have inexhaustible power. However, I can do what God has called me to do…through Christ. I am most fulfilled in life when I love others and do my daily work in the love of Jesus. Love is a simple concept to hear, but so elusive to live in the context of everyday interactions with people. These verses in Ephesians reveal this about love: We can love because we are loved! God commands us to love, knowing that we can do this by first realizing how much He loves us. If I just try to love others in my own limited strength, I quickly give up if I don’t see or feel love being returned to me. But, if I am secure in knowing that I am loved unconditionally by the Father, the oversights and even rejections of others do not derail me. I can still experience a life a love because the Lord (not other people) is the One who replenishes my “supply” of love. So, we are to live a life of love “just as Christ loved us and gave himself up for us” (v. 2). A quick read of 1 Corinthians 13 also reminds us that our best efforts without love amount to a big zero with God. As we work and journey through the holiday season, adding tasks and goals to our sometimes already crowded schedules, let’s remember the greatest thing. Know that Jesus loves you, and that you can love because you are loved!